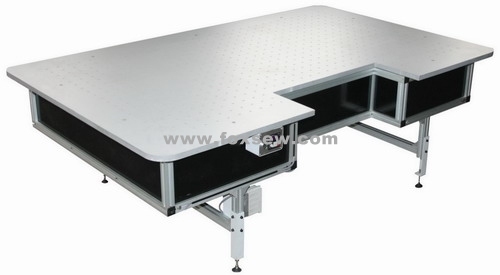 FOXSEW Blowing Working Table is a supplementary appliance for manufacturing mattress. 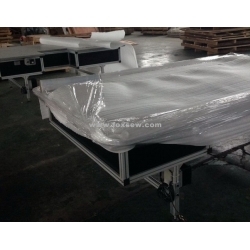 It is use of air-bed creating by blower fan to reduce the friction between mattress fabric and working table.The air-bed function makes operation more conveniently and freely. 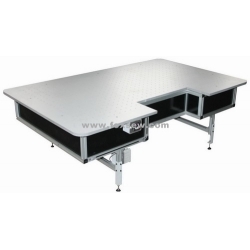 The table use durable fireproofing boards. The frame was assembled by aluminum materials and fireproofing boards, simple structure, safe seal. It have two blower motors to confirm the air supply, total power 400w, max air supply 4100m³/h. Stepless speed, adjustable air consumption. Adjustable table height. 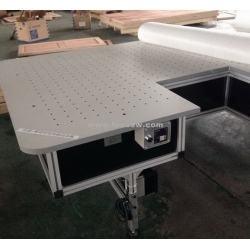 Adjustable table size.